You are here: Home / gaming / Run, Alien, Run! So, have you tried Run 3? It’s not like your average running game, by any stretch of the imagination. Unlike most running games that only pretty much capitalize on the success of games like Temple Run, this game does it totally differently. In Run 3, players are not just required to have fast fingers and good hand-eye coordination to get through the endless levels. Instead, they also need quick thinking and problem solving skills to navigate the game. In Run 2, players had levels and bonuses they could achieve. In this version of the game, players are a little alien critter in space. You can pick from a running alien or a skating alien. These two aliens differ in how easy they are to control and how far they can jump, so each one has a strength and a weakness. The objective is to skate or run and jump through various tricky levels and collect a bonuses where they appear. As you’re in space, you can defy gravity so that you don’t have to fall and die. Players can do this by moving around walls as they run, sort of like that revolving hallway in Inception! Even if you do die in the game, you’ll get to start at the level you left off at, so you don’t need to worry about losing progress. Highly skilled players can finish off the entire game of 25 levels in just 5 minutes. 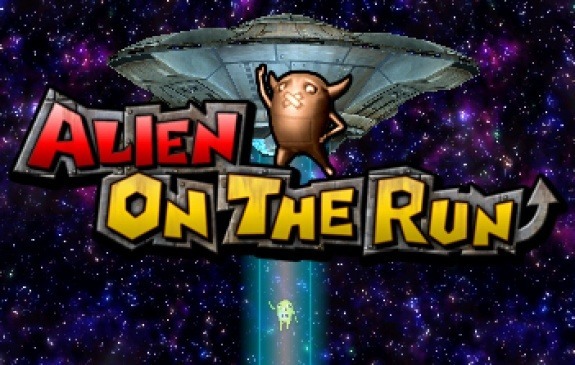 In this version of the game, players are the running alien, still in space. You start off in a restricted area where you advised to turn back for your own good. Instead, you make your way past the black and yellow gate into a tunnel filled with holes through which you can fall. As the levels progress, the shape of the tunnel changes and fall-away panels appear. If you don’t time your jumps right, you can fall through the panels. Like in Run 2, you get to defy gravity and switch from the floor to the wall and the ceiling. After the first ten levels, players are congratulated. This unlocks the skater alien and the infinity run, where they can run endlessly and try for the high score. You can change aliens while in the game. In explore mode, you can travel through the levels and discover new routes that show up on your galaxy map. Run 3 has some seriously challenging levels, even the most skilled players can only do it all in about two hours. As the levels go by, you’ll unlock new characters to play as, and each one has something special that you can use in the game. For example, you can use the lizard who has better jumping capabilities, naturally. By the looks of it, every level is a different environment with unique shapes and panel patterns to navigate. This includes some perilous paths that may take a lot of trial and error to figure out, like the low power levels where the path is dark. Each area of the map unlocks more creatures to play with, like the winter games map, which you can finish to pick up the skiing alien. This little fellow comes in handy in some of the other map areas where there are ramps on the path. Little comic-like scene fill in a bit of story and you make your way across the galaxy to find your way back home. It’s certainly endless hours of fun.